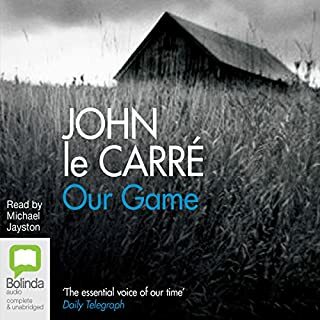 not as timely, but just as gripping! 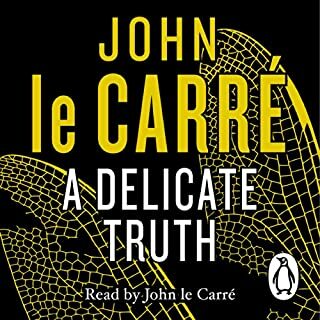 LeCarre never fails to mesmerise! always worth the time. 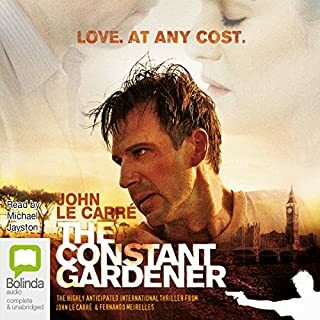 Great story which was enhanced by Michael Jayston’s performance. 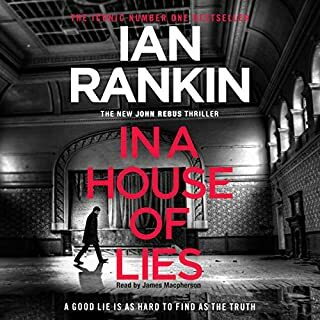 Highly recommend to anyone who enjoys intrigue. Glad I stuck it out. I had to work at this one because the plot line was complex. Just as I was going down one road, something happened that made me question if I really understood what was happening. In fairly short order, I came to understand that was the point. Brilliant, in retrospect. If you're a fan of the safe "beginning, middle, end" story arc genre, this book is not for you. But if you can park expectations and just go along for the ride, it is a most gratifying read. 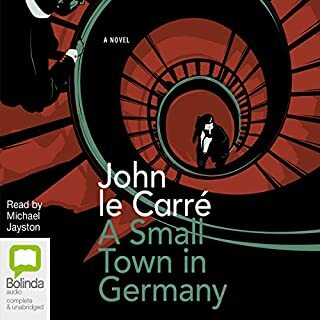 The narrator was excellent though the sound quality wasn't great. Otherwise it would have been 5 stars across the board. 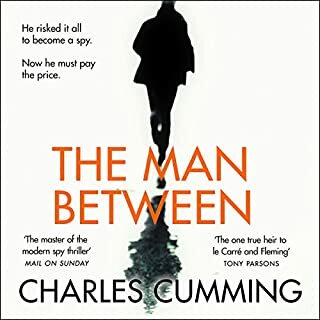 John le Carre tosses the reader back and forth between bitter enemies; Israel and Palestine. A captivating read. Very, very good. 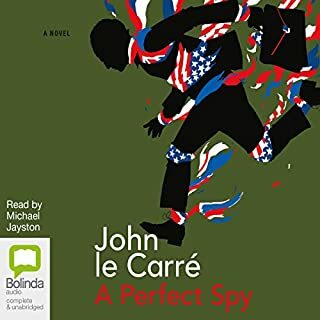 lé Carre gives you a fascinating, terrifying look into international terrorism that will leave you reading newspapers uneasily and watching the news with a jaundiced eye for the rest of your life. Whatever side of the Arab / Israeli conflict you believe yourself to be, you'll get a naked look at the other side. It's cause for pause. Essential reading that will haunt you. 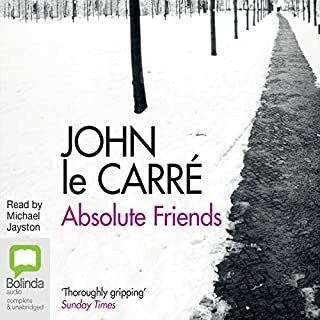 I am a le Carre fan, but I really am finding this book tedious in the extreme, I should have read the reviews more thoroughly, it is very political, which is not my taste. 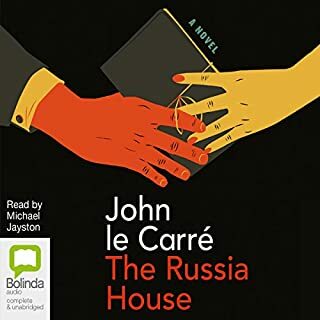 I know le Carre does always have an element of politics through his books, but I usually find his stories woven really well, but this one doesn't grab me at all. I think it is because I cannot particularly like these characters - so I lost interest - and perhaps don't care about them. I may try leaving it for a while and picking up later! Certainly I regret buying this one - but I seem to think it was on offer - so I probably haven't lost anything. 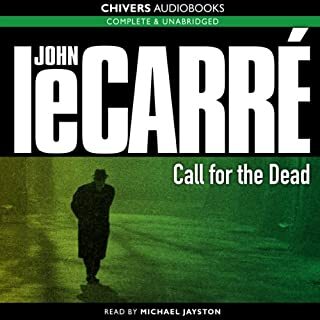 Michael Jayston, as usual, delivers an excellent performance in the narration of the novel. 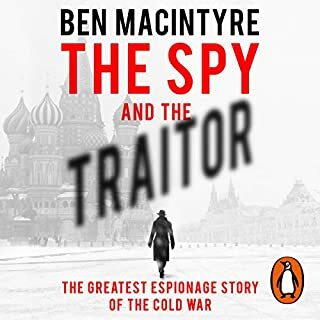 The story itself however, and in particular the recruitment of Charlie, a young left-wing English actress, by Israeli Intelligence, strains credulity and I found the development of the plot and its denouement singularly unconvincing. One doesn't expect a-thrill-a-minute in a Le Carré novel but even so I found long sections of it tedious. Judged by the standard of his best work I would describe it as good but it certainly is not in the same league as the Karla trilogy. 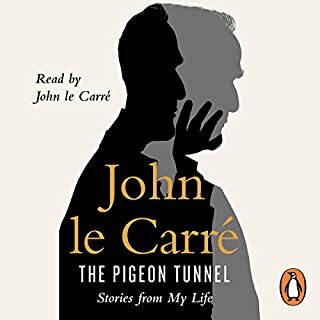 I decided to listen to John Le Carre's books on my commutes to work, starting with his first novel onwards. I enjoyed this novel most. The level of sophistication and thought provoking unease contained within The Little Drummer Girl is spectacular. 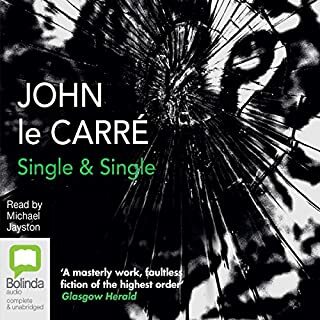 I have read or listened to alot of Le Carre's work recently, and usually I really enjoy them, but alas not this one. 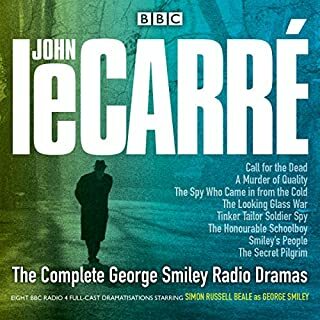 I think Michael Jayston is perfect as the narrator, so its certainly not him that put me off. 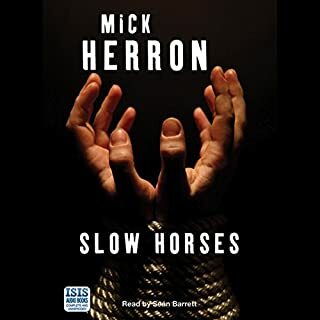 It might be better as a book, rather than an audio version, but for me it's a far cry from his other works. The story was excellent keeping my attention for every minute. Michael Jayston was, as ever, perfect with every character clear, distinct and consistent. Only one thing took away from my enjoyment of this recording. At the end of many sentences the final sound was cut off. So, for example "watch" would become "wat" or "language" would sound as "langui" . 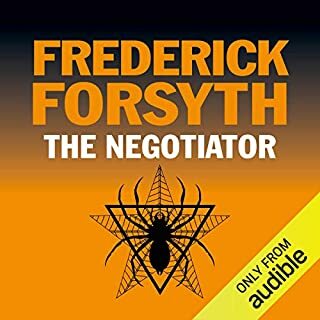 A minor annoyance and a shame for an otherwise excellent audio book. 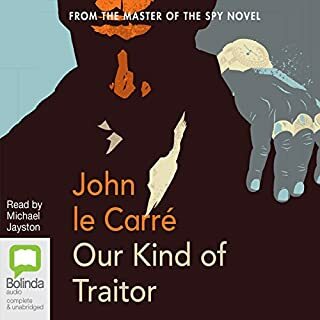 I love this book, probably my favourite of John Le Carre's novels. Its use of the Iraeli/Arab conflicts as an alternative to the old Cold War, us against the Russians, is inspired. Filled with an array of compelling characters, lovingly detailed, beleiveable, flawed in a very human way. Absolutely gripping from start to finish. 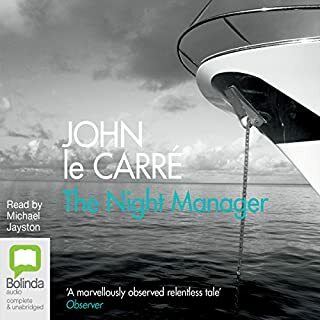 And Michael Jayston is the perfect narrator, his tired, jaded, roué voice fits the story well and he has a remarkable range of consistent voices and accents. Hardly a laugh-a-minute but I highly recommend this book. 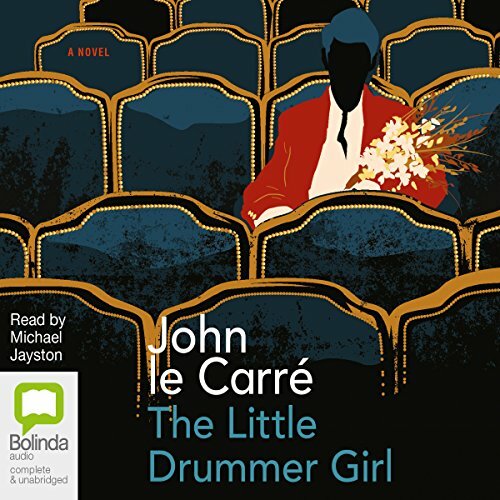 If you could sum up The Little Drummer Girl in three words, what would they be? Which character – as performed by Michael Jayston – was your favourite? Starts well, very baggy in the middle, and ends well. There is a good book in here somewhere, but at 20 hours is too long for what it is. A punchy 10 hours would have made a much better book.